Our main aim, as a club, is to support each other during the restoration process and enjoy each others company on rallies, club runs, displays and other events. Some of our members attend events hosted by other clubs as well. We also actively support our local communities with our club activities. Many of our member's vehicles have vehicles registered under the Special Interest Vehicle Scheme and these are all approved events for this type of registration and it is only available through club membership. You will find the SIVS guidelines under the ﻿﻿﻿﻿"More"﻿﻿﻿﻿ tab above. We are always glad to see new members join our ranks and we are very helpful to newcomers who need assistance with their project or even to obtain a vehicle to do up. The club is a great source of knowledge and the very best way for anyone interested in an historic vehicle to obtain practical advice, parts and even a bit of “hands on” help. We find it is generally a reciprocal arrangement and the more members we have the more our source of knowledge and expertise grows so we welcome new members eagerly. A monthly newsletter is sent to club members. Club meetings are held every month except in January. We vary the time, venue and location of meetings to enable as many members as possible to participate. We also have minuted regular social runs, not just for our Roma members but also those who are in our various chapters: Blackall, Charleville, Dirranbandi, Injune, St George, Taroom and Wallumbilla/Yuleba. QPS Media on Jun 28, 2016 @ 7:20pm Police investigating the theft of a motorcycle from Roma are appealing for public assistance. Sometime between 9am on Friday, June 24 and 2.50pm on Monday, June 27, unknown offenders have stolen the pictured motorcycle from the rear shed of a Whip Street address. 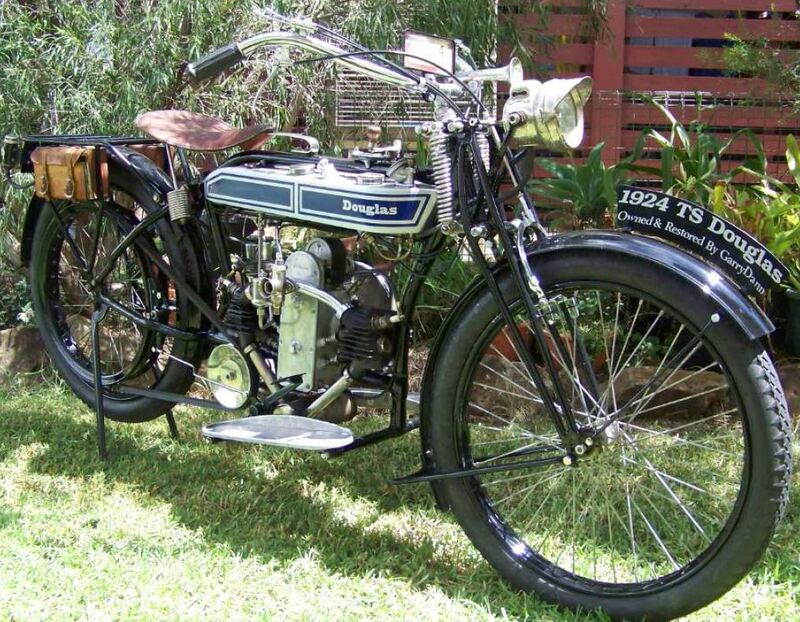 The motorcycle is a 1924 TS Douglas restored British motorcycle, bearing Queensland registration S1908. Anyone who may have seen the motorcycle or have any other information that could assist police with their investigations is urged to contact Crime Stoppers or Policelink. Anyone with information which could assist with this matter should contact Crime Stoppers anonymously via 1800 333 000 or crimestoppers.com.au 24hrs a day.